CASWELL HILL RESIDENCE — bldg.studio.inc. 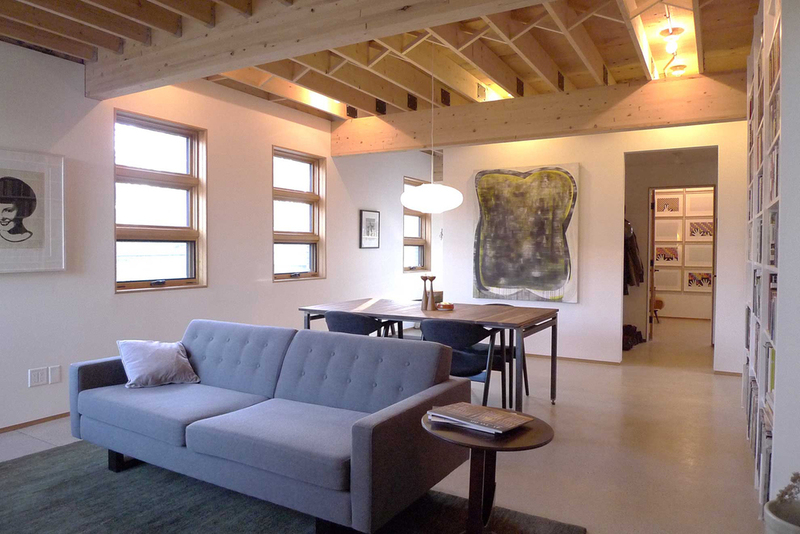 This three storey infill house is on Saskatoon's smallest, lot facing an alley and a street. The main floor and basement are joined into a 14' high studio. 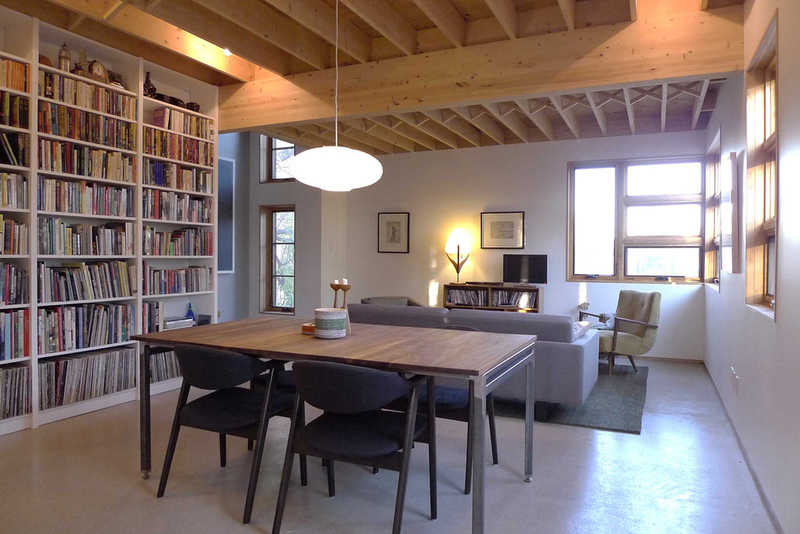 The second floor features an exposed structure of dimensional lumber and concrete-topped floors with radiant heat. The third floor walks out onto a roof-top deck and has a small green roof. The house is heated with solar thermal panels and is heavily insulated to keep energy costs low.